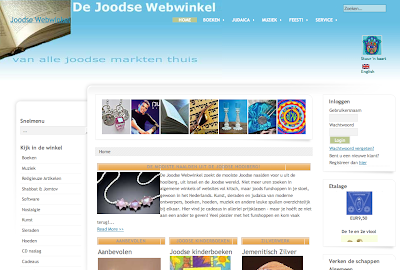 The editor of a Dutch Jewish weekly in Amsterdam contacted me several months ago after finding my Etsy shop. She has been working on developing a Jewish book and articles site and is also featuring Judaica artwork. I was contacted and graciously asked to include my work on her site. How can you refuse an offer like that?! For those of you non-Dutch speakers out there, if you click on the American flag link you'll see the translated site. Very cool! Thanks, Elise!